Touch Of Belle : Winter Wonderland Tag! Hello everyone! 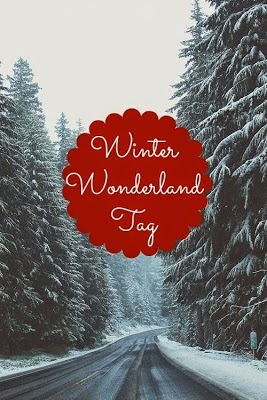 Today I'm doing the Winter Wonderland Tag, so lets give it go! 2. What is one item you hope to receive as a present for Christmas or another holiday? I'm not really hoping for anything, just something sentimental or that I can use for college! Candy Canes! I love them, at my school we used to be able to get someone to deliver candy canes to people and I loved receiving them! Either a pair of jeans and knitted jumper with big fluffy socks! Or a dress with big woollen tights. I have been loving Rimmel stay matte powder and Maybelline baby lips in Cherry me! Whenever we go to a new country or city we buy something to go on the Christmas tree, I couldn't choose just one but every time I look I always think of all the memories I had in those places! I tag all of you lovely bloggers reading this to do this tag! Great tag: I love Elf too. Its one of my favourite Christmas Films!